Times of Malta 07/11/2014: An American social networking website located in New York has picked up on the latest two gold medals won by Delicata recently in Italy and is spreading the word to its voluminous amount of wine- loving enthusiasts. In an article entitled ‘Salute! 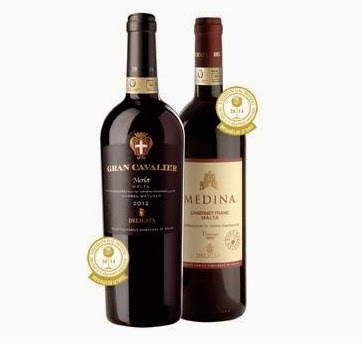 Maltese winery doubles up at Bergamo competition’, Snooth.com wrote: “In a competition dominated by wines outside of Italy, two wines from Delicata winery took home gold medals at the 2014 International Oenological Competition Emozioni dal Mondo Merlot e Cabernet Insieme in Bergamo.”...read on.